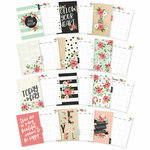 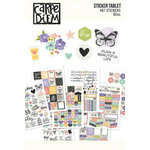 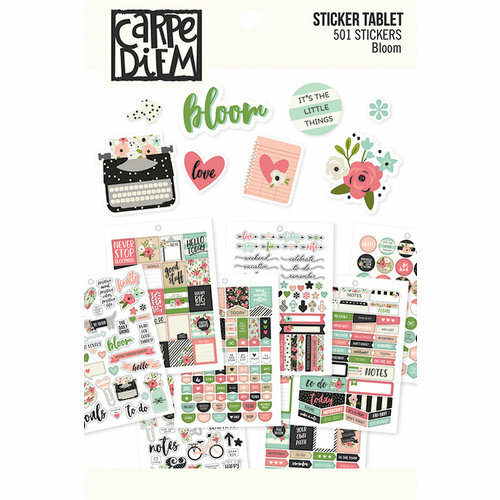 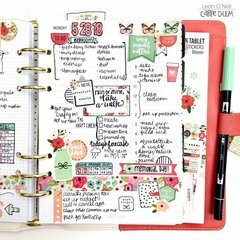 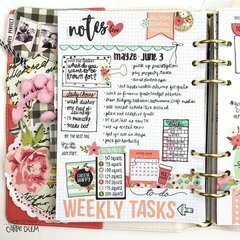 Add gorgeous accents to your A5 planner with the Carpe Diem Bloom Collection Sticker Tablet by Simple Stories. 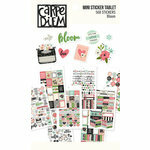 The package includes 501 stickers total that come in a tablet. 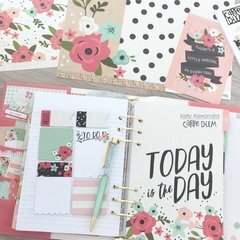 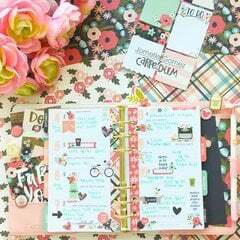 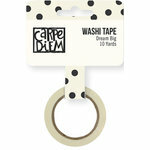 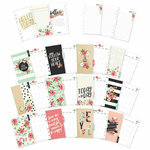 Stickers include planner headers for notes and to-do lists, flowers, typewriter, bicycle and more. 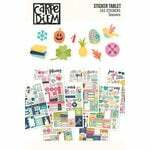 Not sure if these were old stock or what but some of the stickers had no stick on them what so ever. 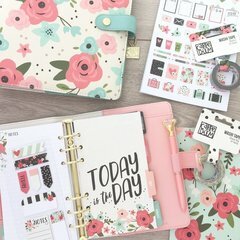 Disappointing as Simple Stories is a go to brand.